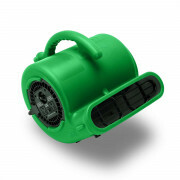 This CleanFreak 2800 CFM air mover offers many features that are often found in fans twice its price range. 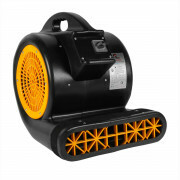 Backed by a 1 year warranty, this air mover offers extreme durability, reliability & power. All this, and it still comes in at an affordable price! 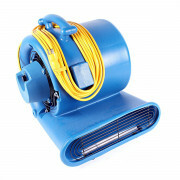 The ½ HP motor offers a max speed of 2800 CFM, which is enough to dry large areas quickly. Buy in bulk & save even more off this already low price. 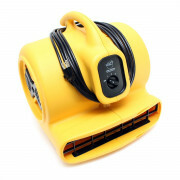 Never before have we had such a durable and powerful carpet blower at such an affordable price. This great fan is absolutely perfect for the restoration and remediation industries because it has 1.0 horsepower motor and moves air at a max rate of 4000 CFM. It will last for years of extended use and comes backed by a 1 year warranty. When you need to move ton of air to dry any type of surface, or just cool an area down, this is definitely the unit for you. It is very portable and moves so much air that it can be used in any setting or facility. This B-Air® Vent 900 CFM compact air mover is perfect for the professional cleaner! It has a small foot print and is very lightweight, yet still moves a ton of air. Each units pulls just 2.1 amps, so you plug several units into a power strip and not worry about blowing any breakers. Available in blue, red and green. Ships for free to any continental U.S. address.